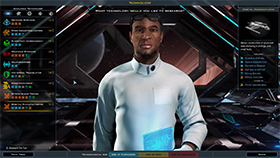 v2.6 Improves Trade Routes, Colony Events, Game Balance, and More! Malevolence is fun! At least, that's what they keep telling us. We've reworked the Malevolent Ideology tree in Crusade to give a general bonus in negotiations rather than focusing on minors. One is the loneliest number, so let's give you a friend! All of your new games will now start with a citizen so you can put them to work right away managing your economy, spying on enemies, or whatever else it is you coerce your friends into doing for you. You'd better "be-leaf" it: a new mission to harvest Aurorus Trees is now available for you to take! You can use what you gather from them to fuel improvements or promotions for your citizens. 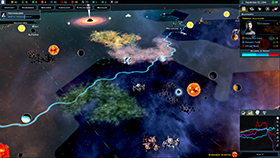 Colonization Events: Many of the colonization events are receiving updates to make the "evil" choice more profitable than before. We want to make sure that the urge to be malevolent isn't suppressed by players wanting to make sure they get the better benefits through benevolence or pragmatism. Now there's equal opportunity for all! Trade Routes: We've decreased the amount of money you get from trade routes, but we've also substantially increased the number of trade routes that you can have. This makes trading empires a lot more interesting and lets you branch out even further into the galaxy. 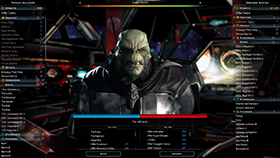 Multiplayer: Custom factions are now available in multiplayer games! 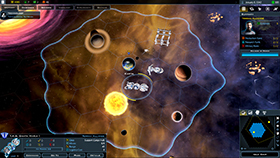 Until now, you've only been able to play with pre-made civilizations - now your personal creations can conquer the galaxy and take out your friends. Mercenaries: The mercenary ships that you can hire from the Galactic Bazaar have been updated in order to align them better with recent economy updates. Polish: Every time we play, we find something to improve. We've been working closely with our community to identify bugs and problems, so there are lots of "quality of life" improvements in this update. The v2.6 update is ready and waiting for you in your Steam client! get 10% off when you buy the expansion direct from us. Also available for purchase on GOG or Steam. High-level factories require Durantium to build. Cities can be built any number of times on a planet but now have 1 Promethium cost. The idea is that if you have lots of Durantium, you should probably build up with Factories. If you have lots of Promethion, you can build up with cities. 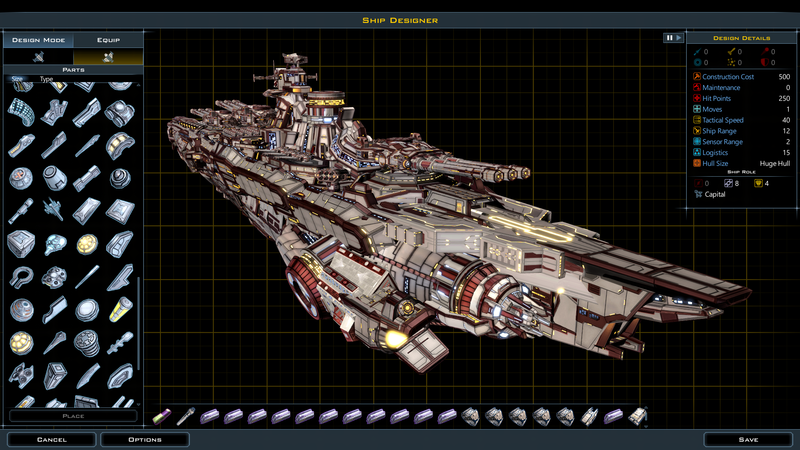 Prototype Hyperdrive base mass use reduced from 8 to 6 but now uses 10% of the ship's mass. Prototype Hyperdrive moves reduced from 5 to 2 to conform to other component performances. Thrusters made smaller but cost more. Fixed typos in Tutorial_Refuge_FlavorText.xml and added in the tutorial text to explain changes from 2.5. AI more careful about getting overextended with too many wars. Ripe for conquest Diplomatic mod now takes more personality traits into account. AI is a little more wary of going to war with lots of other players. Updated description for personality traits to be more explicit in what they mean. Changed planet word on the street text better grammar. Pirates are slightly more frisky. Reduced power of some of the ideological events. Slave trade route benefits balanced to not provide quite as much approval bonus as well as reduce production bonus. Balance pass on base game improvements. Drengin slave improvements don't increase population cap anymore. More balancing to ideological events. Updated and rebalanced Mercenary components just for the Mercenaries DLC. DLC Mega events:Pirates start with some techs that make them move faster, get some money up front. DLC Mega events: The Artifact diplomacy points reduced from 5 to 1 so that you don't just instantly win. 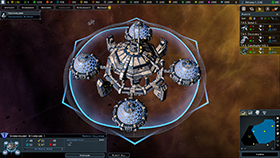 Updated base game Manufacturing improvements to work better with the "All Construction" adjacency bonuses. Map generation balance fixes to make Crusade/base game let idiotic in their resource generation. Added a Crusade specific FOW coloring. Added a Crusade specific starbox. Starports now cost 1 maint. Added checks to prevent asteroids related crashes. Updated research video for base game tutorial. 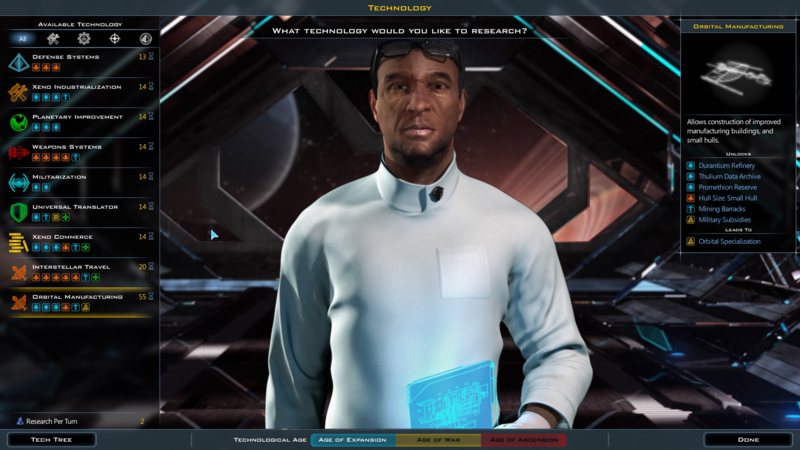 Factions that start with techs no longer start researching a high level tech without your permission. Improvements that use Arnor spice now charge you only once instead of every turn. Fix for odd behavior in MP that can result in a crash for the host in the United Planets system. Disabled the required win ratio for UP resolutions because no one really understood it. There's no limit on the number of cities you can have on a planet but they now cost 1 promethion in addition to food. Again, the idea is that if you have lots of Durantium, use factories to increase the productivity of your population but if you have lots of promothion then people are probably a better bet. Drengin labor camps and such only provide 0.1 population cap increases instead of a full point. AI is more careful about getting overextended with too many wars. Bureaucrats get 10 instead of 25 bonus administrative points. New Improvement: Diplomatic Corps. Let's the player train Diplomats. Players now start out with a leader. Various recruit projects on planets cost less but now require a special resource. You can now recruit celebrities but you cannot yet eject them into space (patience). Treasure Hunt mission is now available at the start of the game. Rapid reload and other special modules have their cost increased but their mass decreased. 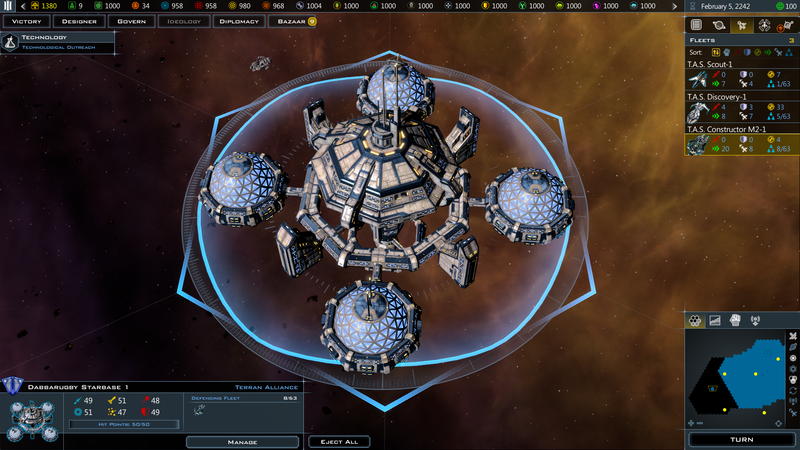 Idea is that special modules should be used by wealthy civs. If a commander is already in the fleet the "Add Commander" button (if available) is disabled. Fixed issue where you could get infinite legions if you had a stationed general on a planet. 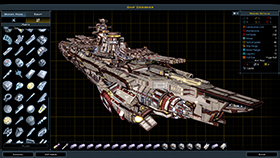 Thank you for offering the option to run 2.33 galciv3classic. For the Crusade changes, these two bullet points contradict each other. Which is correct? Guys, this is low-hanging, low effort, non-controversial, obvious fruit for fixing. Also, being able to Diff the XML between releases would be sooooooo much simpler if we could have it in a DVCS repository somewhere. It's hard to do it right now by myself, because it's very difficult to figure out which files go expressly with which DLC (checking and unchecking DLC availablity through Steam leaves lots of stuff lying around that's hard to figure out if it's really "deleted"). Not to mention that it would make it a lot easier for folks to submit actual Diff Patches to you, lowering your effort to fix a lot of minor (yet important) stuff. Like Tooltip text. Or the Mercenaries stuff above. GitHub and Bitbucket both off FREE services to host this for open projects. Cities cost 1 Promethium. This either completely stops you from building cities or does very little to limit city spam. Cities now give 3 Population Cap +10% Population Cap per Level. This is extremely overpowered. Also, make factories better because they're bad. Malevolence is fun! At least, that's what they keep telling us. Everything that I've heard, and that I agree with, is that Malevolent was OP already. Or at least the most powerful of the three, even before they buffed it. I'm not entirely clear on everything that was changed, but it's been my impression that the malevolent ideology picks have been nerfed somewhat (for example the Eager trait now gives +.1 morale for each planet conquered instead of +1, and I think the trait that gave your homeworld +10 raw production has been nerfed too). What I thought the change log was referring to was the malevolent colonization events being given bigger bonuses. Edit: Just checked, the Relentless trait now gives +10 all production instead of +10 raw production. So it no longer boosts research and income as well as production. Their tweet and youtube thumbnail has in bold letters, "Evil is Better". It already was better, so I hope not.